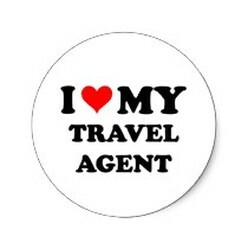 Edelweiss Tours loves their Travel Agents & Tour Providers!! We love working with our travel agents and tour providers all across the nation and abroad. We understand you are vital to our success and the promotion of our tours! We offer some of the highest commission rates in the industry and provide you with a high quality product you can be proud to offer your clients. When you work with Edelweiss Tours you will have one on one contact with us ensuring you have everything you need to attract more customers. More and more travelers are searching for small group tours to have a more unique and intimate travel experience than those offered by large group tours. Edelweiss Tours will allow you a more diverse portfolio of tours you can offer to your clientele. We also offer a discounted rate to our travel agents and tour providers for them to experience our tours. We want you to join a tour and see for yourself what your customers could be experiencing! For more info regarding our tours please contact us! !